What Is The Definition Of A B Trick in Snowboarding? 1. 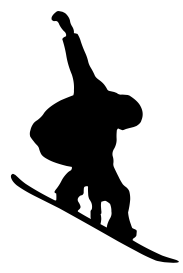 This term refers to the trick performed by a snowboarder when he/she is in the air, in which the snowboarder’s rear hand grabs the heel side of the board for the front bindings. 1. Jones shows off his repertoire of tricks by finishing off with an A B grab to the heel front. A difficult trick to pull off.